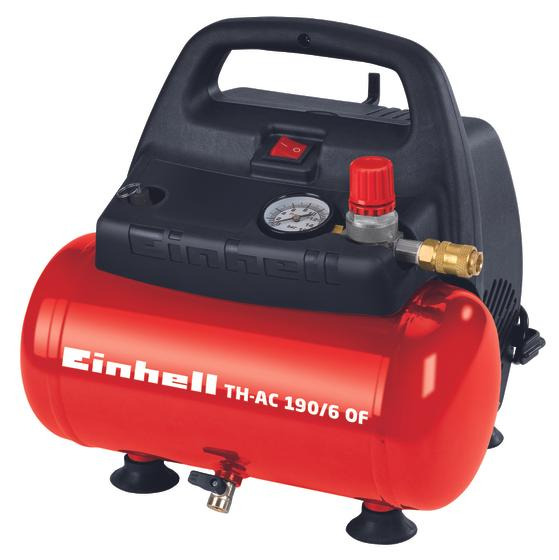 With this very mobile and compact compressor TH-AC 190/6 OF, you can execute many simple works needing compressed air yourself in household, garden and garage, or for camping. 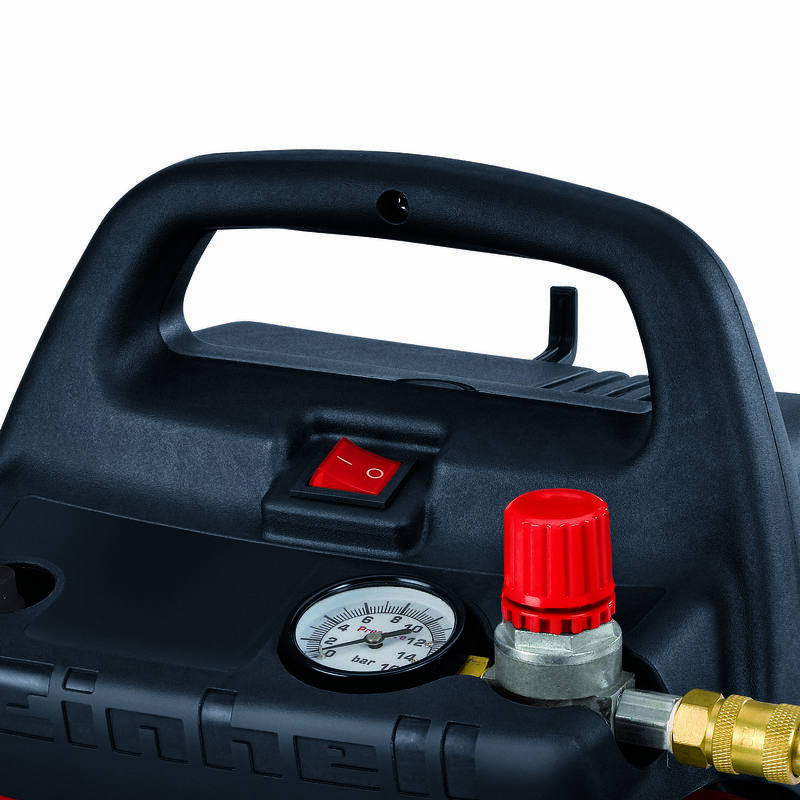 Due to a compressed air reservoir and a vessel volume of 6 liters, small works can be done without a new start of the motor. 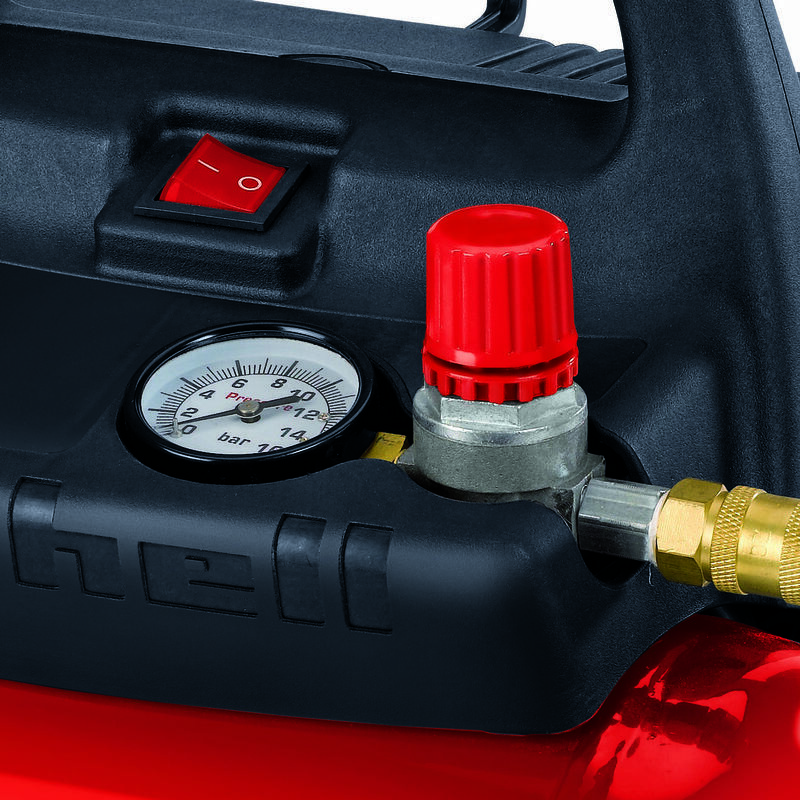 As the air compressor works without lubrication, the device is oil-free and low-maintenance. 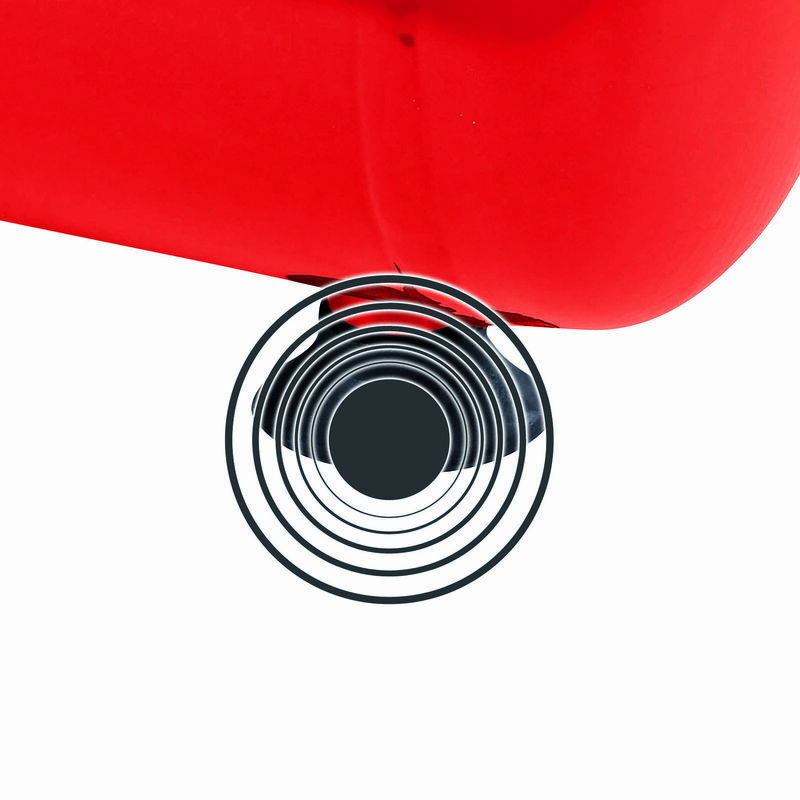 In this way, the device can be transported comfortably in each position. 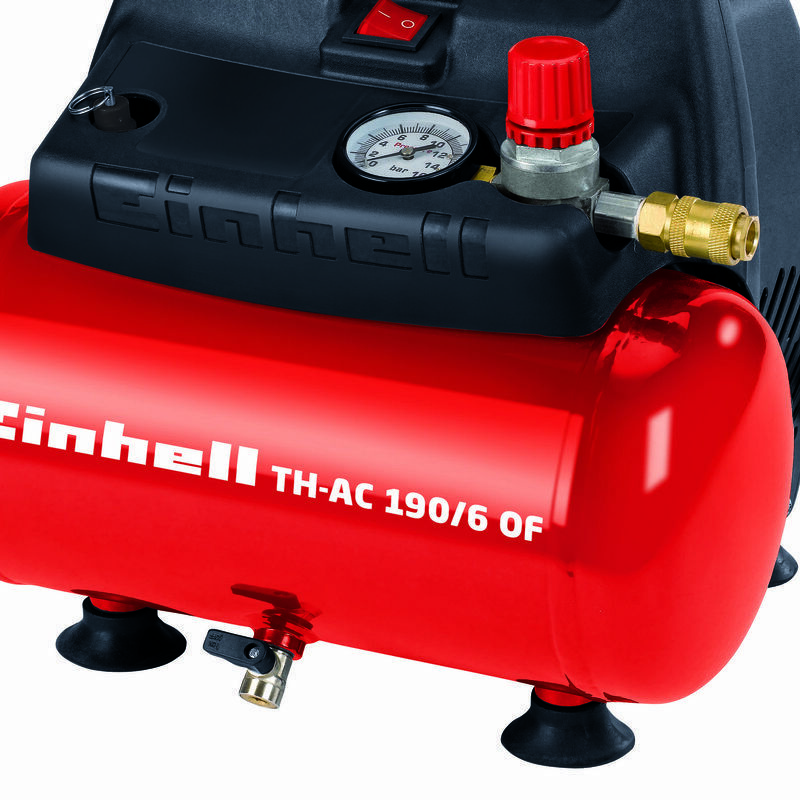 The TH-AC 190/6 OF compressor can be adjusted variably for many applications from 0 to 8 bar by means of a pressure regulator. 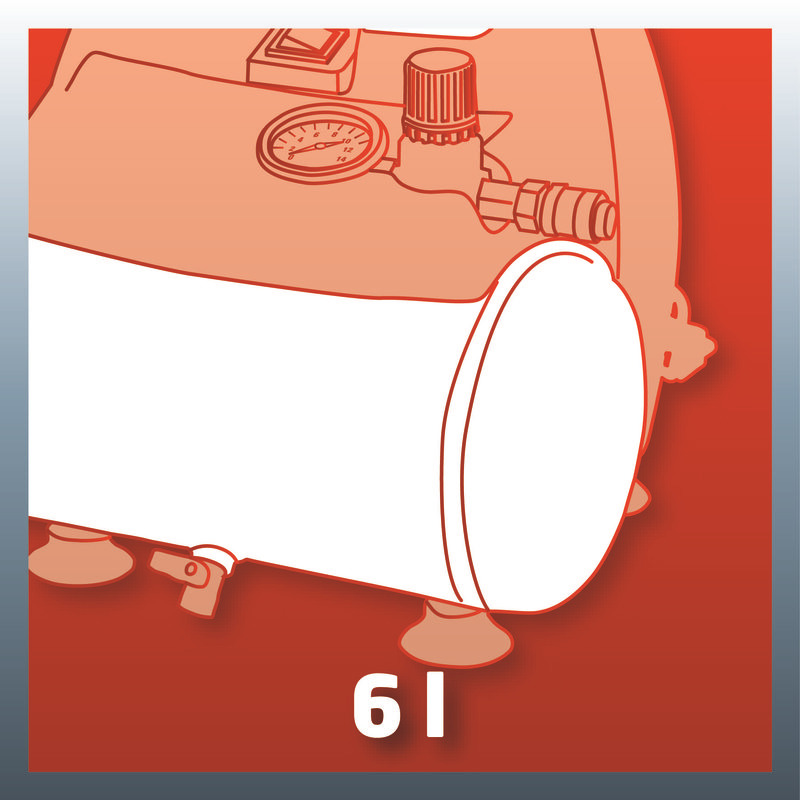 Thereby, the regulated operation pressure is controlled at the pressure reducer, displayed by a pressure gauge and received at the quick-lock coupling. 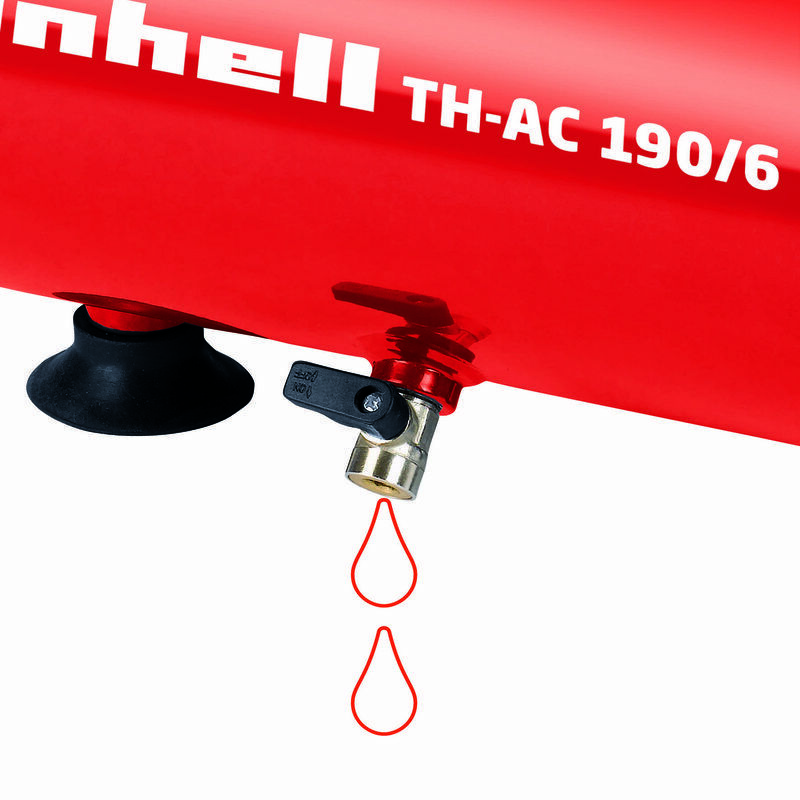 Due to its safety valve, the safety of the operator is provided optimally. 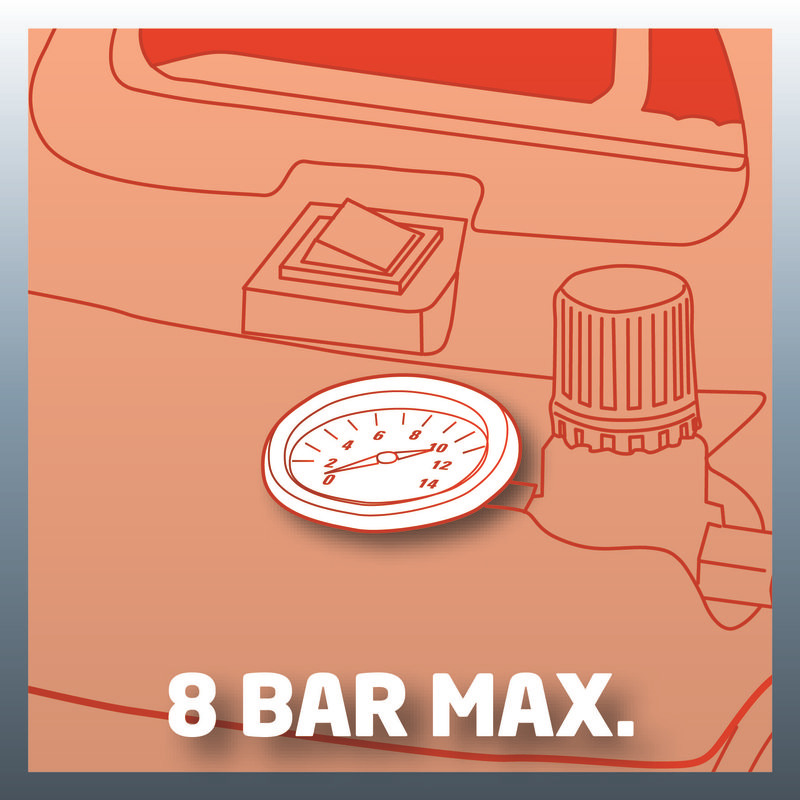 The ergonomical construction enables an optimal operation and easy transport. 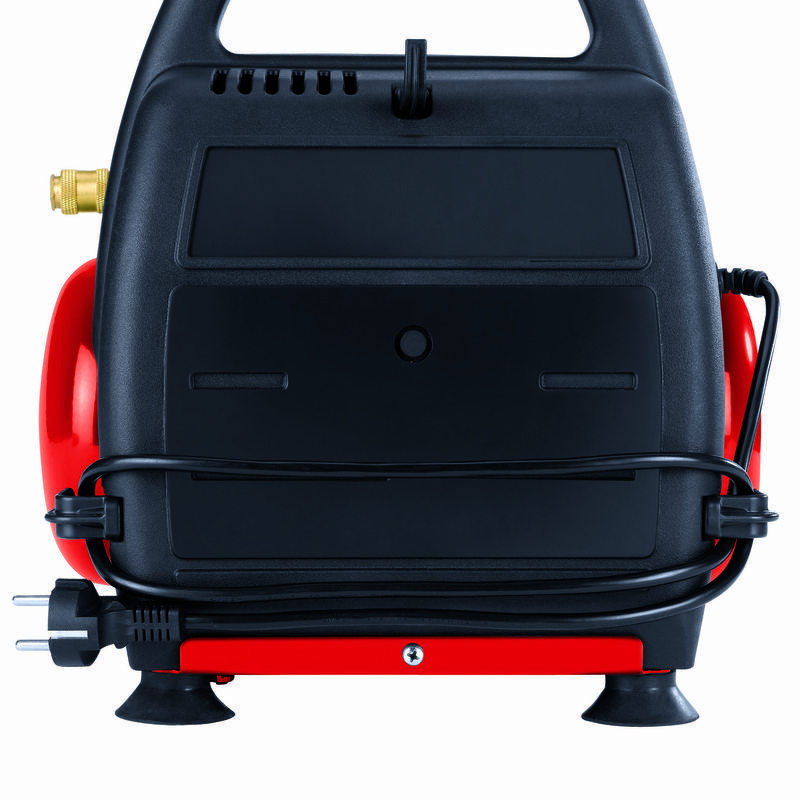 The foot is equipped with a suction cup function for safe work, and the practical cable winding cares for quick orderliness after the work has been finished. A 10-years warranty against rusting-through of the solidely constructed, long-life vessel is included.